The Oilers are back and are ready to put the NHL on notice this upcoming season. Led by a core of talented young stars, the Oilers look to take down the Pacific Division and bring home a Stanley Cup. Division rivals, the Anaheim Ducks and the San Jose Sharks will seek to prevent the Oilers aspirations. Get your Edmonton Oilers tickets and help lead your team to championship glory. Great things are expected of the Edmonton Oilers this season and rightly so. They qualified for the playoffs in the 2016-17 season for the first time since 2005-06. Captain, Connor McDavid is undoubtedly the star of the side. He was the only player in the 2016-17 season to amass 100 points. Unfortunately, the Oilers failed to make the playoffs this season, finishing 6th in the Pacific Division. But with McDavid firing and their goaltender Cam Talbot showing exceptional form, the Oilers will be one of the teams to look out for in the upcoming campaign. The Dynasty Years - The Edmonton Oilers won all five of their Stanley Cups to date between the 1983-84 season and the 1989-90 season. They beat the Islanders 4-1 to clinch their first Stanley Cup. The next season they came out on top against the Philadelphia Flyers by the same score. The Oilers won their third Stanley Cup at the end of the 1986-87 season by beating the Flyers 4-3. The fourth Stanley Cup was won in the next season when the Oilers trounced the Bruins 4-0. Then in 1989-90, they beat the Bruins 4-1 to become five time winners of the Stanley Cup. The Trade That Shocked The League - Wayne Gretzky, The Great One, is the greatest player in NHL history. He is to NHL what Babe Ruth was to the MLB. Wayne was instrumental in the Oilers winning the first four Stanley Cups. He was the best player in the NHL and then all of a sudden in 1988, the Oilers’ management decided to sell him to the Los Angeles Kings. The Oilers did clinch the Stanley Cup in the following season but it all went downhill from there for the Oilers and they have failed to reach those heights since. The Gretzky trade to the Kings still remains one of the most standout moments in the franchise’s history. The Edmonton Oilers’s two biggest rivals over the years have been the Vancouver Canucks and the Calgary Flames. This is how it all began between them. Oilers Canucks Rivalry - The rivalry between the Oilers and the Canucks is based on one team’s success and the others’ lack of it. The fact these two are both Canada based franchises adds an extra dimension to it. This is a rivalry that traces its roots back to a decade or so. The Canucks were quite consistent between 2007 and 2013. During that time period, they won one Conference title, two Presidents Trophies and six Division Championships. The Oilers on the other hand were going in the opposite direction and won nothing. This was hard to take for the Oilers but now they are looking good again. The Battle of Alberta - It is the name given to the fierce rivalry between the Edmonton Oilers and the Calgary Flames. Since Edmonton and Calgary are cities in the province of Alberta, the rivalry between these two sides is extremely fierce. The Oilers joined the NHL from the WHA in 1979 while the Flames joined the ranks a year later. The Oilers began to dominate the NHL right from the word go and won five Stanley Cups between 1984 and 1990. The Flames also clinched the Stanley Cup once during that time. Between 1983 and 1991, these two teams also met in the playoffs for five series. The Oilers won four of those while the Flames was successful in one of them. In 2013 the city of Edmonton voted 10-3 to build a new arena for the start of the 2016-17 season, called Rogers Place. This project, projected at $480 million and proposed to seat almost 19,000 people, will guarantee the Oilers have a bigger, state-of-the-art home in downtown Edmonton. Until then, join the Edmonton Oilers at Northlands Coliseum (Formerly Rexall Place) and see what next season will bring this historically powerful team. The good news is that the Rogers Place was completed on time and as of 2016-2017, the Edmonton Oilers have moved to their new home. It opened its doors for public on September 8, 2016. The Rogers Place has already hosted major events. Stars like Keith Urban, Dixie Chicks, Kanye West, Garth Brooks, Trisha Yearwood, Def Leppard, Bob Dylan and Ed Sheeran among others have performed there. It has also hosted sporting events like UFC 215, the PBR Global Cup and CHL/Russia Series of the WHL. At the top of the list of the greatest Edmonton Oilers is Wayne Gretzky. The Great One is truly the greatest hockey player of all time who won four Stanley Cups in Edmonton. No NHL player in history has scored more goals or recorded more assists than Gretzky. His number 99 has been retired by both the Edmonton Oilers and the NHL. Mark Messier won five Stanley Cups with the Edmonton Oilers and also won a Conn Smythe Trophy in 1984. A fifteen time All-Star with both the Oilers and the Rangers, Messier’s number 11 has been retired by the Oilers. Last but not the least, there is Jari Kurri who played for the Oilers between 1980 and 1990. He won five Stanley Cups and made it to seven All-Star squads as a member of the Edmonton Oilers. The Oilers have retired his number 17 too. The Edmonton Oilers are raring to go this season. If the Oilers get a good preseason under their belts, then sky is the limit for them. If you are a fan of the five time Stanley Cup Champions, then check the schedule and book your Edmonton Oilers preseason tickets immediately. Our process for purchasing cheap Edmonton Oilers tickets is simple and fast. There are so many online ticketing sites, that it can be hard for customers to find the right place to buy Edmonton Oilers tickets at the cheapest price. At ScoreBig we think of our customers first and foremost. We offer daily deals for Edmonton Oilers events, so our customers can get the best seats for the best prices. ScoreBig will always go above and beyond to offer the cheapest Edmonton Oilers tickets on the market. The Edmonton Oilers schedule above, displays all available events for 2019 and 2020. Once you find the event that you would like to go to, click the red “Get Tickets” button. It is located on the right-hand side of the event listing, it will take you to an Edmonton Oilers event ticket page. ScoreBig's event ticket page will display all available Edmonton Oilers tickets for that event. On the event ticket page to help with your search for the right Edmonton Oilers tickets, use the filters at the top to select quantity, price range, and more. There is also an interactive seating chart so you can pick where you want to sit. When you are ready to buy a ticket, click on the listing, and you will be directed to ScoreBig's checkout page. Upon completion of the information fields, your order will be processed and your Edmonton Oilers tickets will be delivered via email, mail, or to your mobile device. What makes ScoreBig’s site stand out from the rest? We are constantly analyzing our competitors to improve our site, service, and prices. ScoreBig.com employees strive to offer the best process and experience to buy cheap Edmonton Oilers tickets. Our goal is to get you the best seats to Edmonton Oilers events. We offer daily discounts on our site and for special promotions check out our newsletter. If there are no Edmonton Oilers events currently available, you can use our search feature at the top of the page to see a list of all popular events going on near you. No matter your price point, we have all the best deals and discounts on Edmonton Oilers tickets. For more information on prices of Edmonton Oilers tickets and the schedule for Edmonton Oilers, check out our listings above. The last thing you want to find out is when the Edmonton Oilers event you wanted to go to is sold-out. Don’t worry in many cases ScoreBig has affordable tickets to sold out events. We sell tickets from GA all the way to premium seating and parking. Skip the scalpers in the parking lot and get your tickets online from top Edmonton Oilers ticket brokers. We get you in all events, buy your Edmonton Oilers tickets here from a brand that many trust and rely on for all their ticketing needs. ScoreBig offers a 100% money-back guarantee. If you have been in search of cheap tickets for Edmonton Oilers, ScoreBig by far is the best option. That’s why ScoreBig has more loyal customers than any other ticketing site. 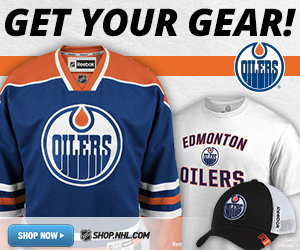 Shop at ScoreBig for safe and secure Edmonton Oilers event tickets.